Do you have tattoos? 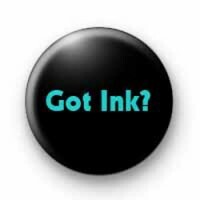 This 1-inch black & turquoise badge is asking if have Ink aka a tattoo. Just a simple question but it makes for a fun badge. All our badges are 25mm in size & are handmade in Cornwall.